In lieu of a usual post today, I will be joining many other bloggers in a Day of Silence (I only found out about it this morning, so I appreciate I’m a day late and this isn’t silence as such) as a mark of respect for the tragedy happening at this moment in Japan. 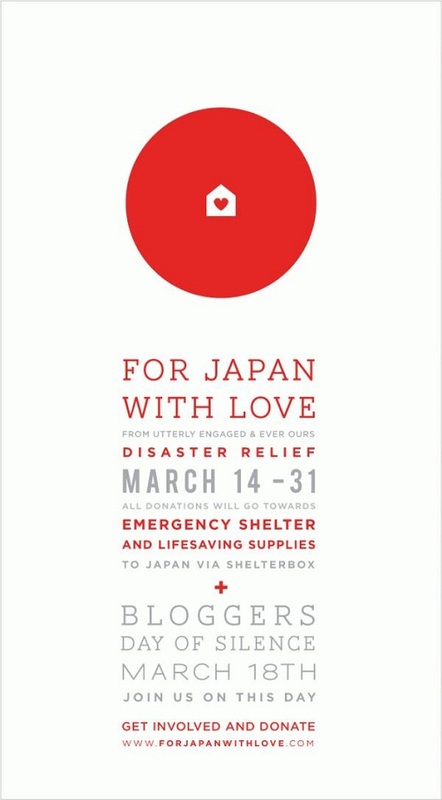 The images that we’re seeing daily are utterly heart-breaking, and if you’re wondering how you can help, then contributing to the campaign, For Japan With Love, to raise money for “shelter boxes” (which include a tent, blankets, water storage and purification equipment, cooking utensils, a stove, and basic tools, among other items) would be hugely appreciated. When it started out, the goal was to raise $5,500, and the total currently stands at $26,500… which is fantastic. Trite but true: every little helps.